Welcome to a beautiful day of learning to sail , just 40 minutes west of Edmonton, on Lac St. Anne. All of our sailing lessons are tailored to individual skill levels. If you have never sailed, but have always been curious to find out what sailing is like – our half day introductory sailing lesson is ideal for you. We provide Edmonton area residents with a great opportunity to learn to sail without paying the high cost many entry level sailing lessons. Our primary objectives are safety and teaching you how to sail in a fun environment. 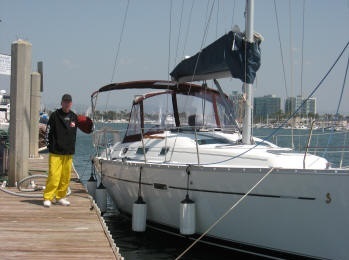 Once on the water, our certified sailing instructor will have you at the helm and sailing in the first 15 minutes. You will learn the basics of sailing including the points of sail, how to tack and gybe, trim sails, heave to and more. You can learn to sail on one of our boats or, if you are near the Edmonton area and have your own sail boat, we can offer private sailing lessons on your own boat. Our sailing courses include the Sail Canada/Canadian Yachting Association (CYA) Learn to Cruise (LTC) certification, under the instruction of our CYA LTC instructor.The CYA LTC certification verifies that the successful graduate is able to cruise in familiar waters and to act as both a skipper and capable crew member on a sloop rigged sailboat of 6 to 10 meters in length, in moderate wind and sea conditions during daylight hours. This is a 4 day course conducted over two weekends. We are already booking for courses starting in June, 2019 so please contact us today to reserve your spot. Sailing class sizes are limited to three people for maximum learning and enjoyment. We also offer 1/2 day Introductory Sailing Lessons for those who are interested in learning to sail or want to see what it is like to sail before making a larger commitment. For more information please see CYA – Learn to Cruise . For those who already sail and want to learn more about sailing trimming, we offer a half day sail trimming course. 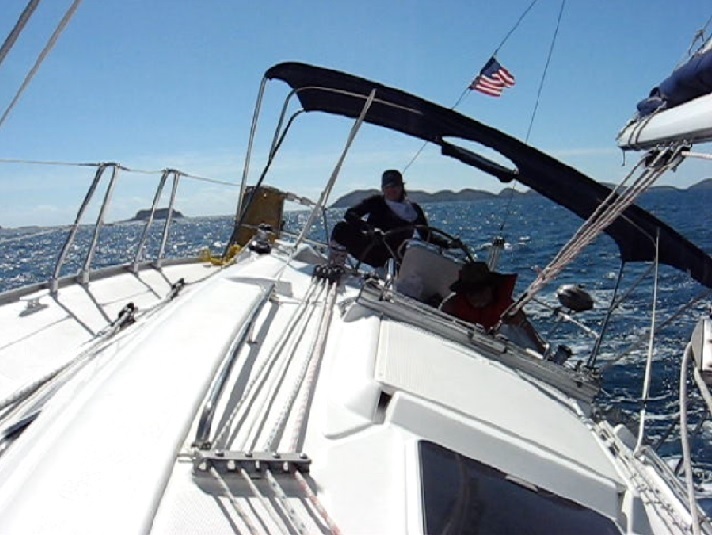 This course will increase your enjoyment for sailing and help you get the most out of your sailboat. 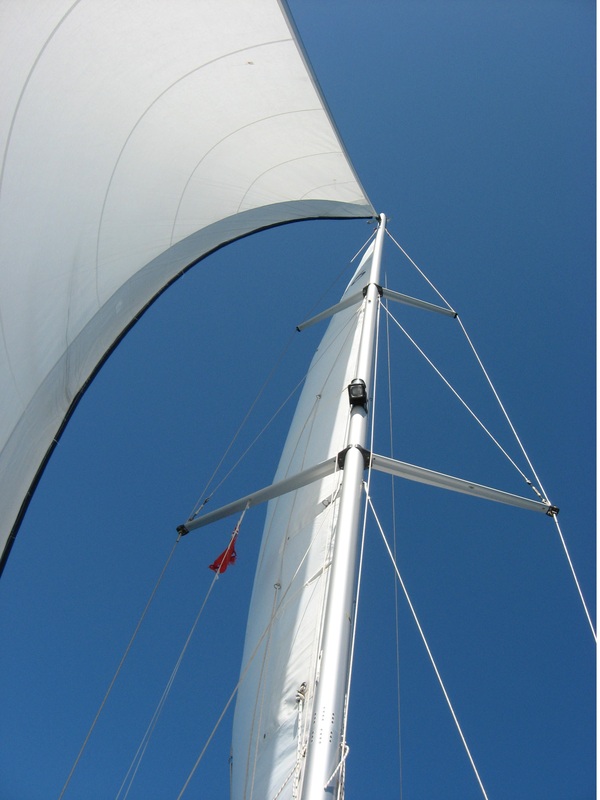 Topics covered include sail shape, angle of wind entry, drag, lift, camber, draft, twist, mast rake, backstay tension. How to control sail shape, point of draft and draft depth with the outhaul, halyards, Cunningham, down haul. How to control sail twist with the mainsheet traveler, jib sheet leads, boom vang, leech line, main sheet and jib sheets at different points of sail in light to strong winds. You will also learn the correct positioning of the draft point on the headsail and mainsail and how moving the draft point changes the Center of Effort (CE) in relation to the Center of Lateral Resistance (CLR) and how this affects boat speed, weather and lee helm. We also offer the CYA Coastal Navigation certification course and the Radio Operator’s Certificate Maritime (ROC-M).